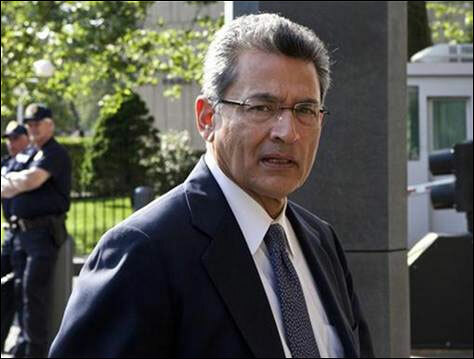 From achieving stellar heights in Corporate America to being reduced to a convict in one of the biggest insider trading cases in the US, Indian-American Rajat Gupta's stunning fall from grace has been improbable. 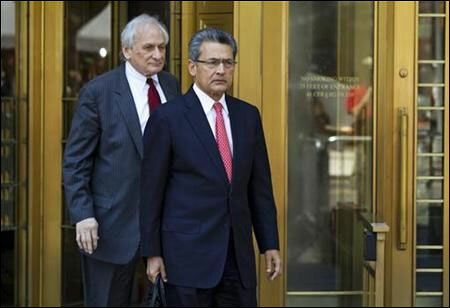 The rise and fall of 63-year-old Gupta, who went from being one of the most successful India-born businessmen in the US to being called "deceptive and dishonest" after his conviction on insider trading charges, has been the stuff of legends. 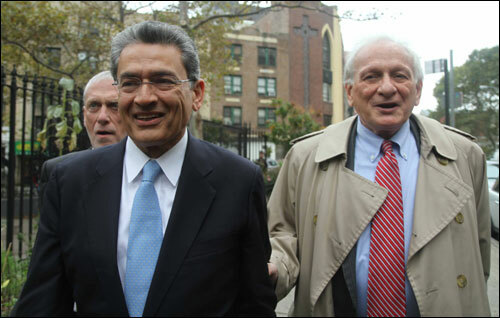 The Diwali of 2011 saw Gupta surrender himself before the FBI after charges of insider trading were filed against him by Manhataan's top federal prosecutor India-born Preet Bharara. A year later, Gupta's fate is set to be sealed on on Wednesday as US District Judge Jed Rakoff sentences him later this evening on the charges that could send him behind bars for up to a decade. 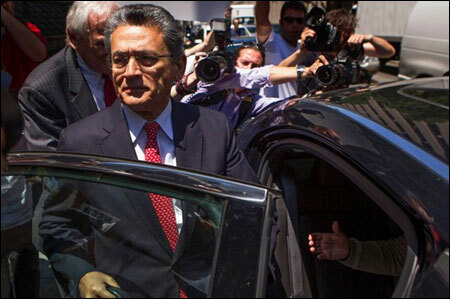 Image: Rajat Gupta on his way to the New York court. Born in Maniktala in Kolkata, Gupta is the son of a freedom fighter-turned-journalist father and school teacher mother. An orphaned Gupta, who came to Harvard Business School on a scholarship after completing his B-Tech in Mechanical Engineering from IIT Delhi, charted an enviable career graph for himself. Following initial years of struggle after his parents' untimely death, Gupta topped his class at Harvard and applied for a position at McKinsey, but was turned down for lack of business experience. 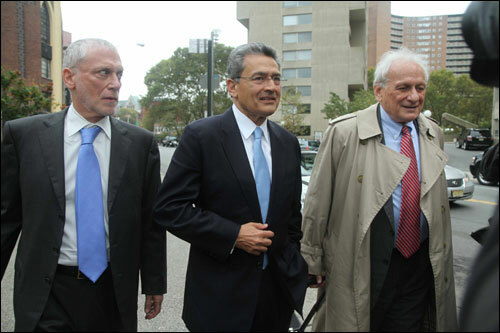 After a professor personally intervened with the then head of McKinsey, Gupta joined its New York office in 1973. In just over 20 years, he rose to the position of global head of the company, becoming the first ever India-born CEO of a US international corporation. Gupta's rise through the ranks of Corporate America was stellar with enviable posts like board seats at Goldman Sachs and Procter and Gamble, co-founder of the prestigious Indian School of Business, advisor to the executive leadership of the Bill and Melinda Gates Foundation as also the United Nations dotting his resume. Gupta was also a director of the AMR Corporation, the parent company of American Airlines. The Rockefeller Foundation appointed him a trustee; he was named special advisor on management reform to then UN Secretary-General Kofi Annan and additionally served on the UN Commission on the Private Sector and Development and was co-chairman of the United Nations Association of America. He was hailed as a poster-boy of Indians scaling great heights in corporate echelons abroad and his friends described him as a god-fearing, "first-class guy". However, after a stellar career that was 40 years in the making, it took only one year for Gupta's downfall. He was slapped with insider trading charges on October 26 last year and the shine and honour that had become synonymous with Gupta's name began eroding after the FBI arrested him. A US court held Gupta guilty in June this year of providing insider information to Galleon hedge fund founder and friend Raj Rajaratnam, in one of America's biggest insider trading cases. Gupta's downfall began when his billionaire friend Rajaratnam, a Sri Lankan, was charged by federal prosecutors of running one of the biggest insider trading scams in US history.Gupta had met Rajaratnam through another Indian-American McKinsey partner and ISB co-founder Anil Kumar. Rajaratnam had made an anonymous contribution of a million dollars to ISB and in 2006, Gupta and Rajaratnam served as founding partners of a private equity fund called New Silk Route.Gupta became the chairman of the fund with a large ownership stake. The two became friends and occasionally had lunch together. However, federal prosecutors, who had Rajaratnam on their radar, used wiretaps and listened in on telephone conversations between Gupta and Rajaratnam as the two talked about boardroom discussions. 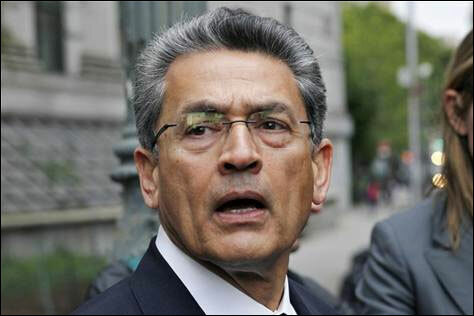 A July 29, 2008 telephone conversation between Gupta and Rajaratnam provides an "extraordinary window" into Gupta's state of mind and willingness to breach his duties to please Rajaratnam, prosecutors have said. In the conversation, after being asked by Rajaratnam about a rumor concerning Goldman's strategic plans, Gupta "casually and without any hesitation or reservation" disclosed to Rajaratnam the deliberations of the Goldman board meetings.